Chicago: The Chicago Symphony Orchestra cancelled Monday a second week of performances after talks with striking musicians failed to reach an agreement on a new contract. No additional talks were scheduled between the two sides as the labor dispute within one of the classical music world’s most high-profile institutions entered its second week. The orchestra’s leadership claimed traditional pension costs have skyrocketed and will continue to rise. They have said changes are necessary for long-term sustainability. The labor dispute has cast an unflattering spotlight on one of the world’s most venerated orchestras, amid general concern in the classical music world over the sustainability of many institutions. 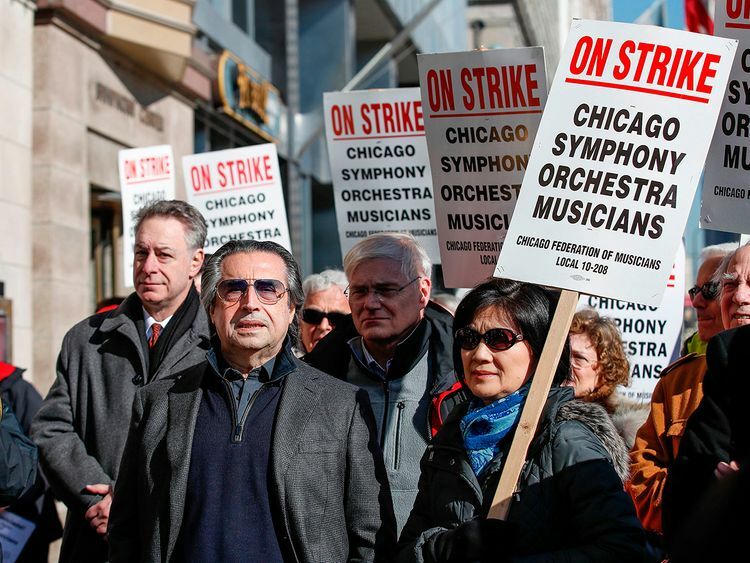 “The entire world — the musical world — is listening to what happens in Chicago,” the orchestra’s music director Riccardo Muti said last week at a news conference held to show support for musicians.